ANYone can throw some burgers on the grill and have a back yard bbq (well, if they have a back yard, that is). Are we right? But you – you’re better than that. 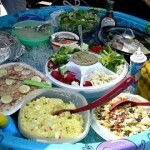 You’re proud of your get-togethers, whether they’re impromptu or long-planned events. It doesn’t matter if you do it all yourself, or share the duties. Maybe one is working the grill and the other is at the margarita machine. 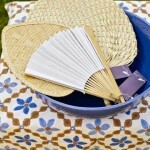 The point is, like any good host or hostess, you want your guests to have a great and memorable time. 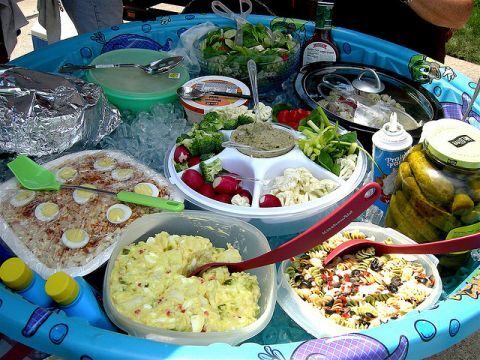 Towards that end – of helping you make your cookout fall into the “Remember that great time we had at _______’s house?” category – we’ve gathered a few suggestions together that might already be just perfect for you, or will be if you tweak them a bit your way. Party on, Dudes & Dudettes! KEEPING THE FOOD FRESH . 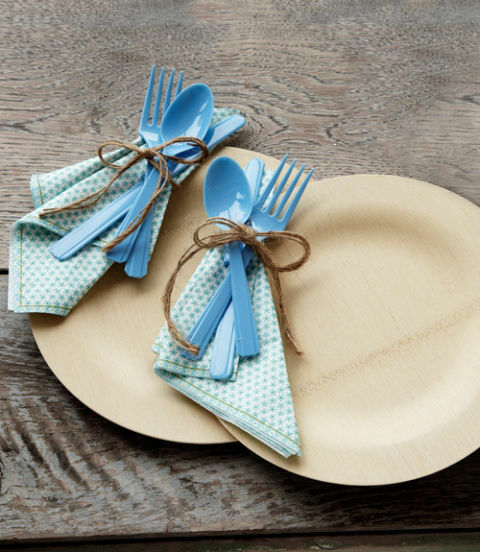 . .
Juggling plates, napkins, and silverware. We all know how that works out. 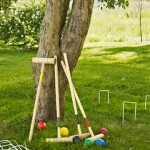 At your next event, help your guests avoid that conundrum! 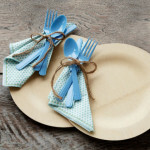 Punch a hole into your disposable plates, tie up your utensils and napkin with twine, and loop it through the plate. They’ll have a free hand as they tackle the buffet (and it will move things along much faster, too). 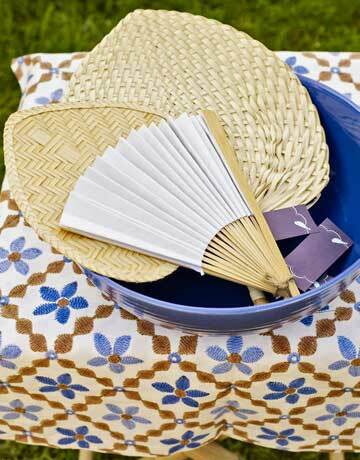 Help them keep cool (or at least keep the scorching sun at bay) by providing a supply of fans and sunblock. Bug spray is an especially nice touch. 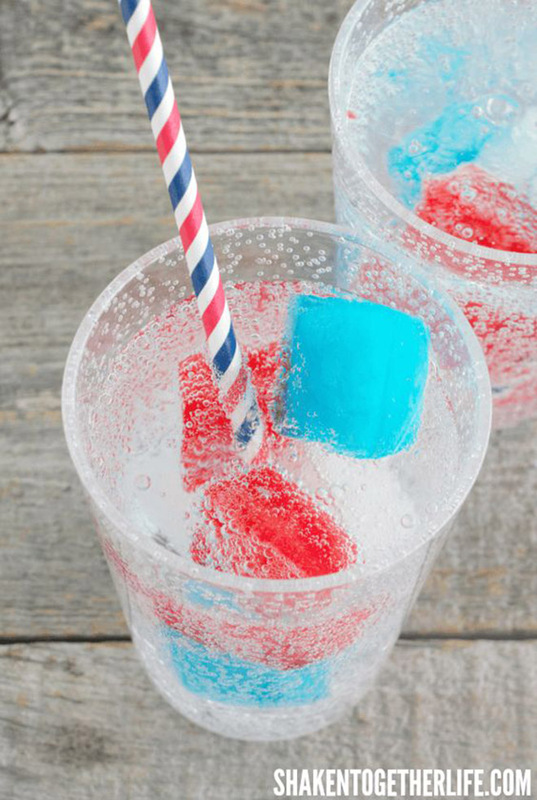 Even handy bowls of ice cubes around with some heavy paper towels is a great idea (for here in Las Vegas, anyway!). 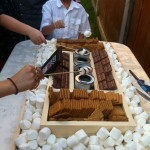 Take a page from a rustic wedding, and prepare a fun way for your guests to build their own S’Mores. (Think of all the time you’ll save worrying about what to serve for dessert!) 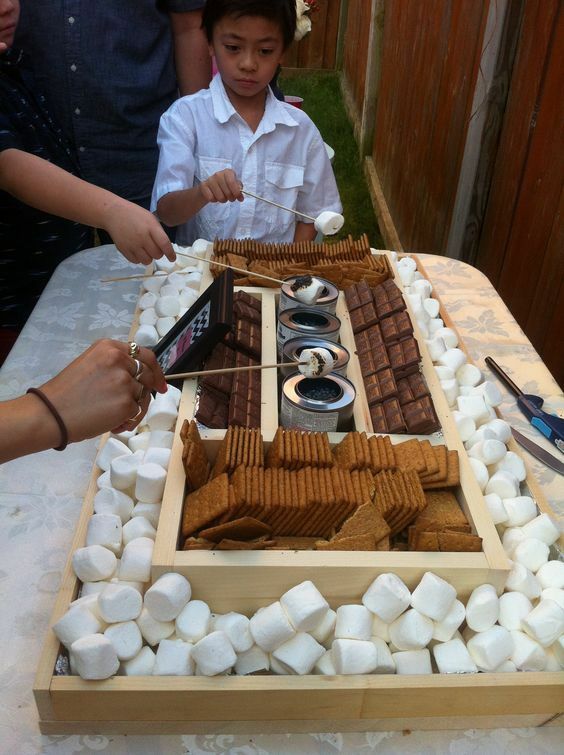 Shish kabab skewers and cans of sterno make this idea a blast for everyone. Don’t forget the dogs! Hot summer days with lots of friends around can get them excited – so calm them down with a little planned-ahead of time treat cooler for them. 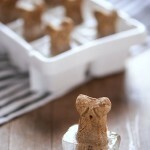 Throw some smaller-sized treats into an ice tray with water and stick them in the freezer overnight to keep tails wagging (and maybe not always underfoot!). New Home Resource helps current and future homeowners with all of their Las Vegas real estate needs. Whether your preference is for a newly built home from a local builder, or a resale property in just the right location, a New Home Resource Realtor® is here to find the perfect property for you. 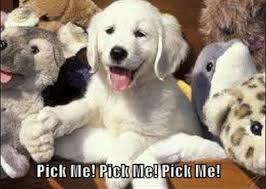 Please contact a New Home Resource Realtor® today at 702-365-1000 or at www.newhomeresource.com. Broker Joanna Piette, and agents Denise Moreno Thrasher, Jessica O’Brien, Evelyn ‘Beng’ Kern, and Kathy Paterniti are all here to help! A while back, we wrote an article about some of the “Things to Love About Living in Las Vegas,” (including the amazing weather, we really are all normal people here, and there’s never a reason to be bored in this town!). But with all the excitement going on here lately, it seemed like as good a time as any to expand on that list. So for those who might be wondering what it is that draws people to – and makes them want to stay in – Las Vegas, read on! This one has been a long time coming, and for those of us who have seen the Las Vegas Thunder come and go (loved those guys!) and the Las Vegas Wranglers do the same (loved them, too) – this is like a dream come true. On top of that, it’s the first professional sports franchise to call Las Vegas its home – and that is saying something! (Will the Raiders be next? Who knows!) 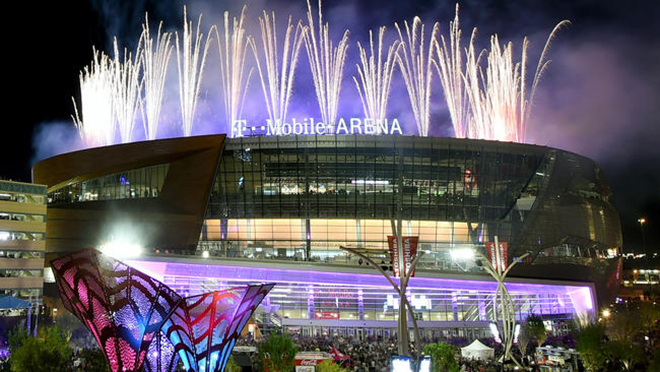 But come 2017, the Las Vegas T-Mobile Arena is going to be the site of some serious celebrations, and you can bet that this is one town that knows how to throw a par-tay! Speaking of the T-Mobile Arena . . .
We’ve got a brand new 20,000-seat capacity arena in Las Vegas right on the Strip that opened this past April and it is THE hot place to be. Between major concerts, sporting events, and awards shows – the immediate success of this state-of-the-art facility is (you guess it) – just one more thing to love about this town. No slouch on entertainment value, just take a look at the events calendar to see what’s coming next. We can say that because there are new projects both big and small that are joining the valley’s ranks – from the new Seasons Market at The Village in Lake Las Vegas (not to mention the several new home communities that have recently opened there), to the up-and-coming Resorts World Las Vegas, a new Chinese-themed resort on the Las Vegas Strip that’s scheduled to begin construction this fall with plans to open in 2019. The Las Vegas Convention Center is undergoing a new expansion, new schools are under way, and new home builders are enjoying a great year. Those examples are just the tip of the iceberg – but we’re pretty sure they make our point. 😉 All told, there are more than $9 billion in projects planned or under construction in Las Vegas during the next few years – including a 5,000-seat theater at the Monte Carlo, Wynn Paradise Park, Alon, and the Lucky Dragon (which is now hiring, by the way!). Anyone who’s looking for something to do in Las Vegas can always seem to find something just a step above the norm – whether it’s the National Finals Rodeo, NASCAR Weekend, or how about this one: The final 2016 Presidential Debate that will take place at UNLV in October – just days before the vote. New Home Resource helps current and future homeowners with all of their Las Vegas real estate needs. Whether your preference is for a newly built home from a local builder, or a resale property in just the right location, a New Home Resource Realtor® is here to find the perfect property for you. Please contact a New Home Resource Realtor® today at 702-365-1000 or at www.newhomeresource.com. Broker Joanna Piette, and agents Denise Moreno Thrasher, Jessica O’Brien, Evelyn ‘Beng’ Kern, Lance Partin and Kathy Paterniti are all here to help! How exciting! You’ve decided to start your search for a home of your own! You’ve looked around at neighborhoods and schools; you know pretty much which part of town you want to live in. You’ve interviewed with different Realtors™ to make sure you’ve found someone who is experienced, familiar with that area, and has a great reputation. You’ve even gotten in touch with a mortgage lender to find out what you can realistically afford – and scored bonus points for getting loan pre-approval! Your Realtor™ is preparing a list of available homes for you to visit. So now is the time for you to stop and re-assess what, exactly, you’re going to look for. Our point is to be prepared by arming yourself with a little knowledge ahead of time. It might even be a good idea to put together a little checklist to refer to as you visit each home. Because you want to make sure you’re not just dazzled by what they want you to see – you want to look closely at the things you know are important to you, and will make your living in that home as comfortable for you as possible. And you know us – we’re always here for you! So we thought we’d put together a little “cheat sheet” list of some of the things you may want to remind yourself while the ‘dazzling’ is going on. Some things matter more to certain people than others, of course – and certainly, this list is just a start. But we figure it will get you thinking in the right direction. So pick those that matter to you, add some others you have in mind, and then toss the rest. 1. Rooms and alternative spaces. Do you really need 5 bedrooms? Or would 4 bedrooms plus a loft for your home office work? Today’s floorplans are often flexible and multi-purpose in many areas, so view with an open mind, but specific to your needs. 3. Closet space. If your heart is set on having room for your currently overflowing closet, this matters! 4. Low maintenance landscaping. 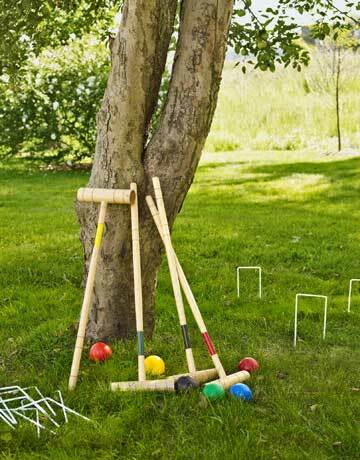 If gardening isn’t your passion, this will make a big difference in how you spend your weekends! 5. The Kitchen. Hardly used? Or your Dream Room? Walk-in pantry? Work island? Counter seating? Picture yourself in this ‘heart of the home’ night after night and make sure it will meet your lifestyle. 6. Electrical Outlets and Wiring. Today’s buyers are wired, wireless, and connected to many different devices. While this might not be a deal-killer, you want to be aware of what’s available to you before you move in so that any changes needed can be budgeted for ahead of time. 8. Parking. Two or more cars? How does that work with the size of your garage? What about street parking? Do you need to use part of your garage for a workshop? Without considering these things ahead of time, you might end up with a hornet’s nest of a (neighbor) problem after moving in. 9. Insulation. Not just for energy-saving purposes, but can you hear people speaking in the next room? Ooooh. That could get uncomfortable quickly! 10. Water Pressure. For some, this is huge. For others, no biggie. But definitely something to know ahead of time. 11. Neighbors and Traffic Areas. Make sure you take a good look at the surrounding homes, and pay attention to the amount of traffic that the street gets. Best to look at different times of day – daytime, after work, and at night – to make sure you get an accurate image of the total environment. That’s a start, at least. And your Realtor™ should also be asking important things about whether there currently are any offers, have there been any major repairs (which will be on the Seller’s Disclosure, too), cost of utilities, the Seller’s timeline, etc. Actually, there’s a lot more your agent will be doing on your behalf – but keep in mind, you’re the one who will be living in the home, not your Realtor™. So you know best what you can live with, or not. For us, the important thing is that you keep your eye on the prize, so when the choice is made and you’re handed the keys, you don’t have any reason to kick yourself because you fell for the “show” they put on while the home was on display. Of course, trading out extra linen space for a fantastic view or a killer back yard is always going to be smart – and your Realtor™ will help you determine the relative value (both emotionally and financially) in a situation like that. We just want you to make sure you’re starting from a point that includes all your “wants” so you’re making that decision yourself (instead of letting them make it for you – when you weren’t paying attention!). Ready to go shopping now? Let’s get together and Do It! Buying in a Hot Real Estate Market? Be Creative With Your Offer! When it’s a seller’s market, competition among buyers is just a(n unfortunate) given. It’s great for the owner, of course – but frustrating when one home after another escapes your grasp because another buyer’s offer is accepted over yours. Maybe that’s why just sometimes, a little out-of-the-box thinking can come in handy. Sure, money talks – but it’s not the only language a seller speaks. And if a buyer can be creative enough, they might just find a way to turn the tide in their favor. Don’t believe us? Here’s a few examples where going off the beaten path made all the difference for these buyers and sellers. As most people know, the real estate market in Portland, Oregon has been hot for a while now. So when Donna DeNicola found the home she wanted to buy last summer, she wasn’t surprised there were four other offers on the table ahead of her. In order to catch a break, her offer was above the asking price, she threw in free rent for the owners, and added one unusual clause: She would provide the seller with a free pizza every month for life. (By the way, Donna just happens to own an Italian Restaurant in Portland.) It ended up being just enough to make the difference for the sellers, because her offer was accepted over all the others. Emily Reuter and Kyle Skellchock had spent months searching for a home in Washington, D.C. – and perhaps it was serendipity that led them to fall in love with a home that would bring a happy (and furry) ending to their search, and tremendous peace of mind to their sellers. The owners were selling their D.C. home to move to Florida, and weren’t able to take their dog, Buddy, with them. But as it turns out, Emily and Kyle fell in love with both the home AND Buddy, and when they discovered the seller’s predicament, were more than happy to offer Buddy continued permanent residence in his current home . . . as their new pet. The offer they made for the home was nearly identical to another potential buyer’s – but their willingness to take in Buddy made the difference to the seller. End result: They got the home, and the wagging tail, too. The point, as we mentioned above, is that it’s not always about the money. As emotional as a home purchase is for the buyers, in many cases it’s even more so for the sellers. They’ve lovingly cared for it through the years and enjoyed many happy and loving memories there. And it’s not that uncommon for a seller to choose an offer (even if it’s the lowest) because they felt a kinship with the new owners-to-be. • Use a great Realtor™ and a lender who both have excellent reputations. • Get your financing in place with a formal pre-approval letter in hand. • Be prepared to put down a large earnest money deposit. 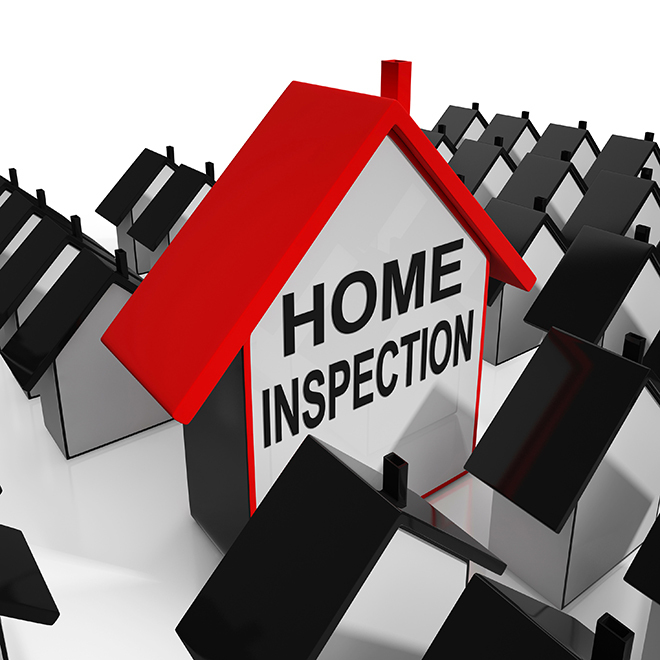 Should You Get Your Home Inspected Before You List It For Sale? When dealing with buying or selling a home, we’ve always maintained that it’s a good idea to over-prepare. For example, we’ve mentioned in several of our previous articles that one smart move not everyone is smart enough to do is to get your loan pre-approval in hand before even starting to shop for a home. Why? Because if a seller has multiple offers to consider, you’ll tip the scales considerably in your favor by having proof that you’re capable of “sealing the deal” – and that’s a big plus for any seller. But for those thinking of selling their home, thinking ahead is sage advice for them, too. And one of the smartest steps a seller can take before putting their home on the market is to obtain their own certified home pre-inspection. It justifies your listing price. By laying all the cards out on the table, sellers gain bargaining power with potential buyers. When you have certifiable proof on paper of the condition and systems in your home, it makes it harder for buyers to (reasonably) lowball their offers. (And if they unreasonably lowball you, you’ll know they’re not worth spending your time and effort on.) The fact that your home has no underlying issues of concern tangibly translates to the fact that there’s no need for a price cut to be entertained. It builds trust with potential buyers. By offering a home with a clean bill of health, it gives buyers more assurance and helps to reduce any apprehensions they may have. Many buyers have legitimate concerns about buying a “Money Pit” – so they often start their home-buying search with that bias in mind. But when you’ve shown you have nothing to hide by sharing the details of the pre-inspection up-front, they’ll look at your home more realistically and be able to realize its true value. It may help you move faster to closing. Really, there’s no easier way to build trust than to show them your home has been well-maintained and you have the documents to prove it. That trust can go a long way towards achieving a smooth transaction and a seamless closing.